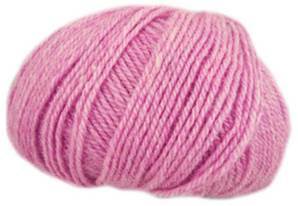 190 Sirdar Click DK knitting yarn in a gentle pink. Supersoft, washable blend of 70% acrylic with 30% wool.Knits to standard DK tension of 22st, 28 rows to 10cm on 4mm needles. 50g balls, 150m.